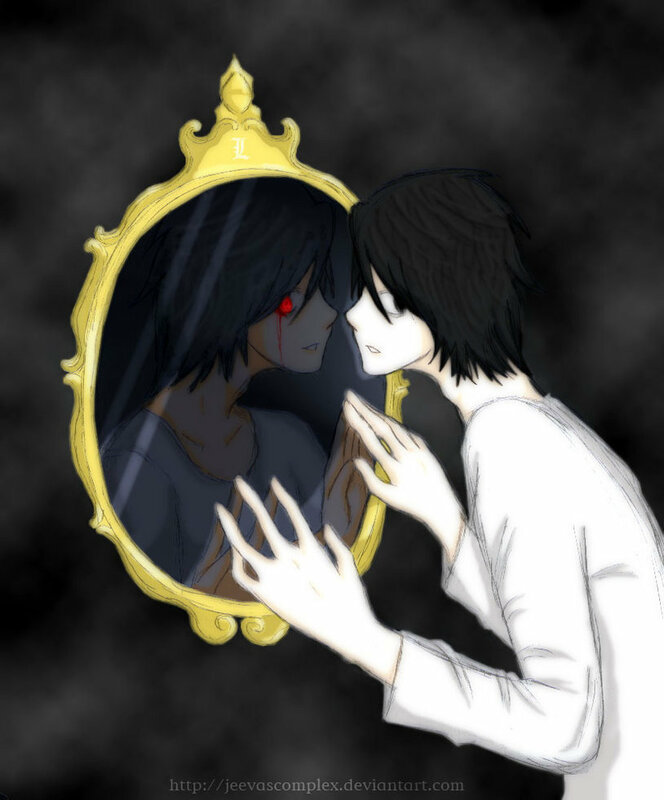 mirror. . HD Wallpaper and background images in the Beyond Birthday club tagged: beyond birthday b.b l lawliet. This Beyond Birthday fan art might contain tanda, poster, teks, and papan tulis.